The most comfortable of accommodation standards for visiting the Kirindy reserve. The wonderful Relais du Kirindy opened in April 2017 and has provided a welcome luxurious accommodation option. Just 30 minutes’ drive from the Kirindy Forest, this is an excellent option for a stay in the area. 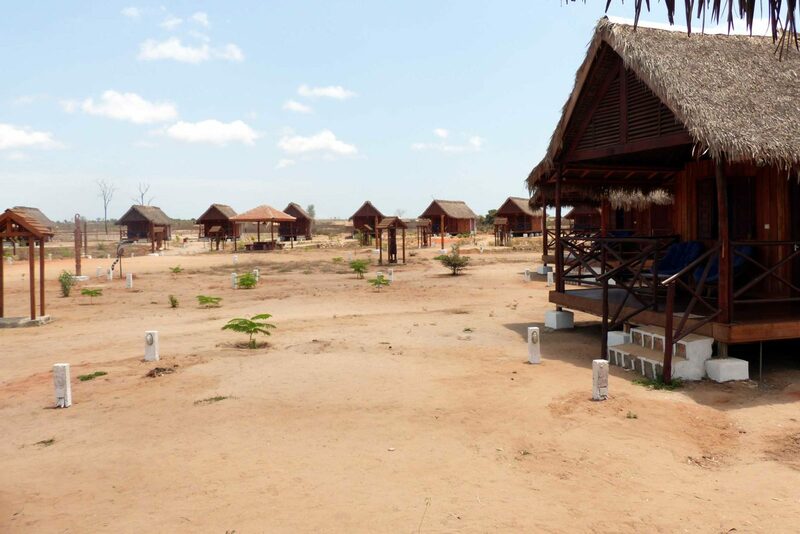 There are 20 spacious Bungalows at the lodge, all of which are raised up on decks, decorated with the noble wood of Madagascar in warm tones and set a short walk from the main area of the lodge. 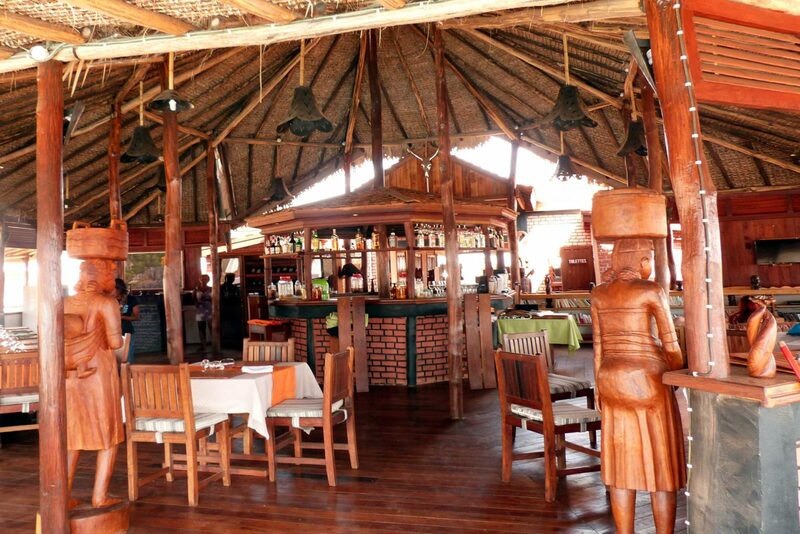 The main part of the lodge is very stylish and reminiscent of an upmarket safari lodge, with a large pool and decking area as well as an open-plan lounge, dining room and bar area with the wide variety of fresh local food available. Relais du Kirindy is new but is fast establishing an excellent reputation amongst visitors to Madagascar as one of the best options on the mainland and is a very good option for one’s stay in this stunning and much under-visited part of the country. 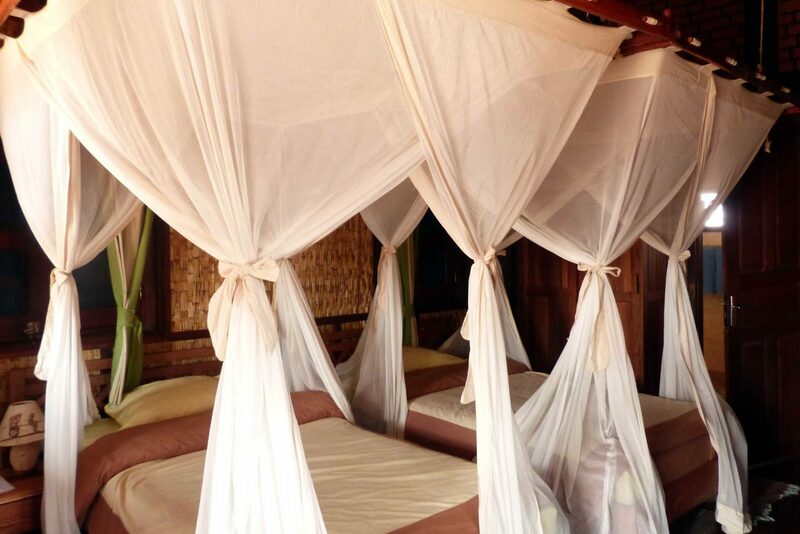 Each of the 20 bungalows at Relais du Kirindy have their own mosquito nets, fans, a shower room with hot water and a private toilet. Inside they are spacious and comfortable and the doors and windows have fly screens on them as well as shutters so the rooms are as “bug-proof” as they can be. 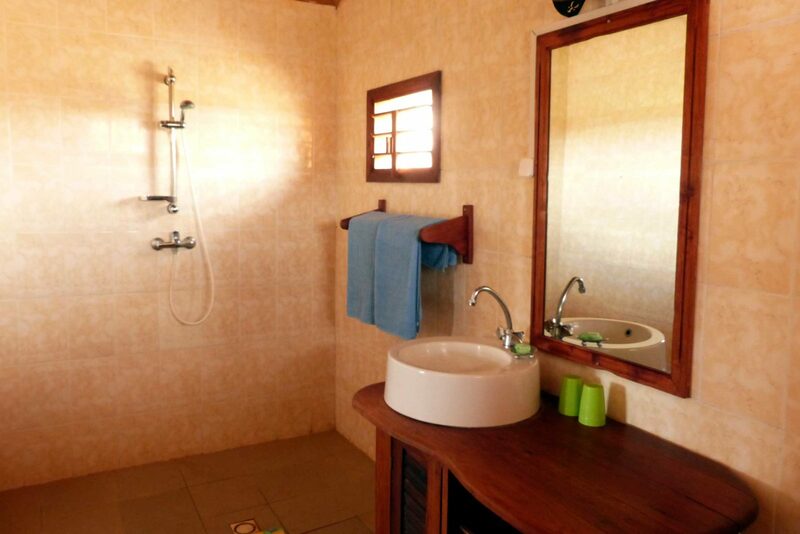 The En-suite bathroom is found at the rear of each room. Bungalows come with a shaded decking and comfortable chairs to lounge in. A daily cleaning service is available and a treatment in one of the massage rooms is an option. 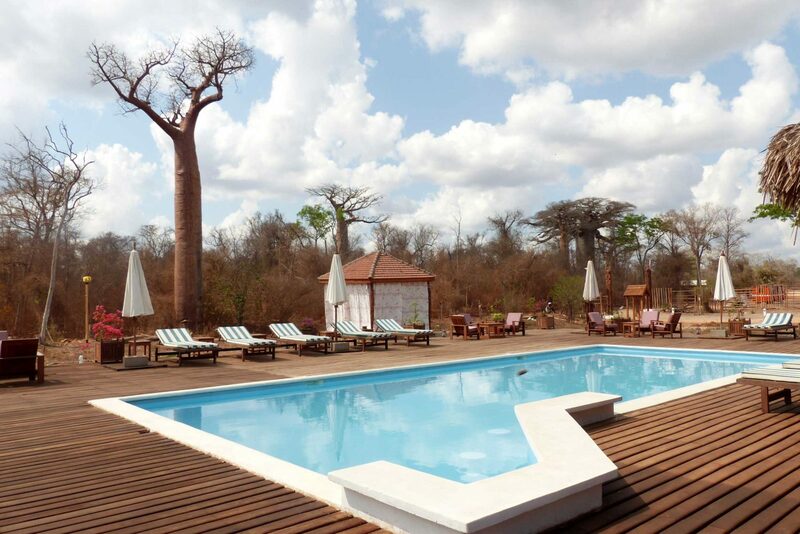 The restaurant and bar of the Hotel "Le Relais du Kirindy" overlooks a superb swimming pool in front of the sacred Baobab of Kirindy. The chef prepares gourmet and international menus. Wi-Fi is accessible from the restaurant bar. Relais du Kirindy is located near the Kirindy Nature Reserve. From the bungalow, you can enjoy the breath-taking views of the sacred Baobab. Kirindy (once known as the Swiss Forest) is a private dry deciduous forest reserve claimed to have the greatest density of primates in the world, with eight species of lemur including Verreaux’s sifaka and the world’s smallest primate, the pygmy mouse lemur, and 23 species of other mammals including fossa, the lemurs’ main predator, often seen near the accommodation area – a rare experience. Madagascar’s largest rodent, the giant jumping rat (vositse) is only found here, mainly in the wetter months. There are many endangered birds, plentiful reptiles and amphibians including the strange spear-nosed snake, and around 90 species of butterfly. En route to Kirindy is the iconic Avenue des Baobabs featuring many examples of the giant baobab, Adansonia grandidieri, and two more species of the ‘upside down tree’ can be found in the region. Nearby Bedo Lake holds 35 species of water bird including the endangered Madagascar teal, Madagascar plover, Madagascar pond heron, and migratory greater and lesser flamingos, as well as big-headed turtles. 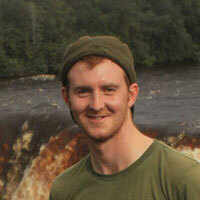 Guided excursions to Kirindy Reserve. A Moronbava Mangrove canoe tour. A guided tour of Betania, village of sinners Vezo. There can be some noise from the local village in the evening, so ear plug are recommended for light sleepers. Thanks to everyone at Reef and Rainforest for making our holiday so memorable. I came home feeling like we had great experiences in Madagascar and that our itinerary had been really well planned to ensure we saw a great variety of what the country is about. Ian and the team were fantastic while we were away in fixing the one small issue we had but then ensuring we had day use of the hotel in Tulear, that we were on time for the plane and in upgrading some of our accommodation. 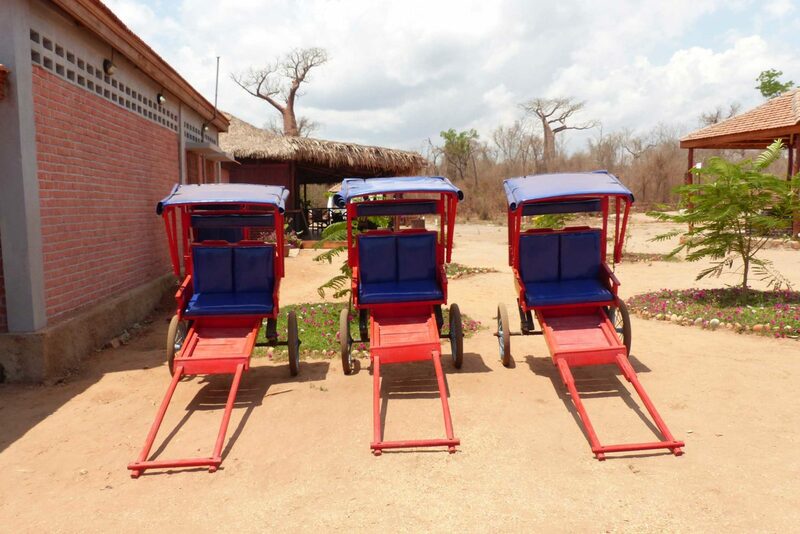 The attentiveness of the company while we were away was really unusual for a tour company and showed how much you care about ensuring people have a truly great holiday.